Long, Long Live the Queen! He has recently had surgery to remove part of a lung, but was making what appeared to be a good recovery, and his wife and two daughters must have felt relief. He was much loved and not so old, only fifty-six. That night, after a day outdoors with his mates, George died in his sleep, most likely from thrombosis. His eldest daughter was out of the country, touring Africa with her husband, when she heard the news—heard the news after some delay, as it was imperative that the delivery of such news be absolutely correct. It is reported that she broke down in sobs, this woman we have come to think of as stoic and unemotional before the cameras. But then, there were no cameras there in Kenya as the young mother moved from the grieving daughter, Lilabet, to Elizabeth II, Queen of the Realm, a role for which she was just beginning to prepare. While her father saw her off on her three-month tour, it was Winston Churchill who waited on the tarmac to meet her plane when she and Prince Philip returned home. In addition to her private grieving she had duties of state to attend to, a meeting with the Privy Council, and her father’s funeral to plan. A king’s funeral. One headline of the time reads, “ Elizabeth Apt to Upset Tradition,” a small article that makes the claim that she is likely to be the “happiest queen” in British tradition. She certainly came from a calm, close-knit family, one that gave her a good start in life for the role she assumed. A life of privilege, sure, but also a life as normal as was possible. She had loving parents, corgis, and a collection of toy horses. She was a Girl Guide, a good swimmer and a typical big sister. At her father’s coronation she is said to have worried that her sister, Margaret, was a bit too young for such a serious occasion. Margaret, even then, must have been a handful. Under their ancient and heavy ceremonial velvet robes, both young princesses wore bobby socks. She raised her children as normally as possible, given the abnormal circumstances of their lives. 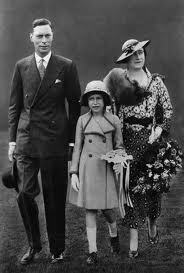 When her father died, Prince Charles, aged 3, didn’t know that his grandfather was a king or that his mother was Queen. Neither did he know he was a prince. His mother forbid members of the household to call him “Prince” Charles, and nor were they to bow. Imagine having to instruct your babysitter thus. Elizabeth is reported to have been a serious young woman, organized and orderly, and she pledged to her people that she would dedicate the rest of her life to her duty as queen. No wonder she does not turn over the royal scepter to Charles. She has made a solemn oath to her country and she is unlikely to hand him the keys to Buckingham Palace just because he is getting antsy. Before Princess Diana took her boys to McDonald’s, the queen and her sister were riding the subway with their nanny. She and Philip love to dance and even though she was a princess, they often slipped out to a night club where they met friends. Remind you of her grandchildren at all? If she has upset any tradition as queen, it has been as a result of her basic common sense and that the times dictated it. She saw her parents tour the bombed-out rubble of London and she drove cars and fixed carburetors for the war effort. It isn’t a stretch, then, to believe that she serves herself food from the sideboard when she is alone with just family, or that she watches TV with her feet tucked up under her, like we all do. 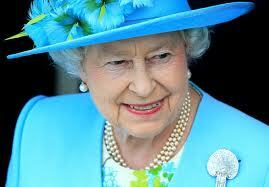 Queen Elizabeth II just celebrated her Diamond Jubilee, sixty years on the throne. She will continue to celebrate throughout 2012. So will Great Britain.